Minecraft, a game that skyrocketed to unprecedented levels of popularity among all ages because of its open-ended gameplay, infinite worlds, and limitless possibilities for creation and collaboration, is getting an official deathmatch mode. Is this it? Is this Minecraft’s shark jump (or pig jump, or squid jump) moment? Oh, of course not. But it is a reminder that the gratifyingly long honeymoon period of discovery and scrappy underdog status is long past — Minecraft is no longer a buggy, funky, open secret among gamers and kids and modders — it’s a global platform owned by Microsoft and ripe for banality. 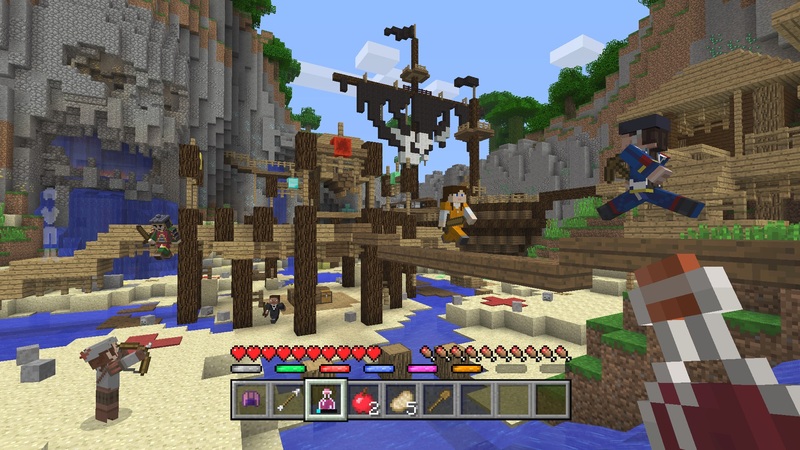 Players in Battle matches use randomly generated resources found in chests placed in specially designed PVP maps and combat one another in a free for all death match until the final victor is determined. The fun’s not all over after you are defeated though, as fallen players can spectate the combat among remaining players in the match by freely flying around each arena as a bat. PvP maps, randomized loadouts, spectator mode — these aren’t ideas, they’re bullet points. How long before we get in-game currency to buy diamond swords or flying pig mounts? Minecraft throve on the uniqueness of every world and its open-ended gameplay. Shouldn’t it be a priority to maintain that spirit as it expands and adds genres? Why isn’t there a team battle mode where players have limited time and resources to build a fortress and send armies of creepers and skeletons against one another? Why not see who can delve the deepest and collect the most diamonds and obsidian in a randomly-generated cave system tweaked for maximum danger? Why not have players work together to build a stronghold and score them on defense against waves of Endermen and savage pigs? Instead, like every other multiplayer game since Spacewar, we get a small stage on which players try to kill each other. Like I said, it’ll probably be fun, but the prognosis is bad for the legacy of creativity Mojang established over the years before being acquired. And I would be remiss if I didn’t ask why this update is for consoles only! Let’s just hope the same doesn’t happen to Dwarf Fortress.